Important information for sending your car to Hobart and Tasmania. So you’re transferring your car across to Hobart, and you’ve found us to do the job for you. You can be sure that you’re car is in reliable hands, and will get over in exactly the same condition that you gave us the car at the other end. We begin daily trips over to Hobart from all acrossAustralia. As far up as Darwin or Cairns, all the way east from Brisbane, even Sydney, Melbourne, Adelaide and Perth. From any metro area in Australia you can kick off your car move across to Hobart tomorrow. Moving your car over to Hobart is a big move, for car or furniture. Because of the distance there are a few more factors to think about than most other routes. Below are a few things that you need to bear in mind and be aware of when moving your car across to Tasmania. Lets assume you’ve gone through the booking procedure already, as it is no different going to Hobart or anywhere else. Although if you’re only starting to take a look at getting your car relocated, I recommend that you head to our instant online quote page, where we require only a few details and can then supply you a firm price and a great deal of useful information. If your vehicle is being collected from your address, you will receive a call from the car carrier in relation to a collection time, either the day before or the morning of collection. If you are intending to leave it at any of the Depots kindly be aware that they are closed on Saturday and sundays along with most nationwide public holidays. The depot hours are Monday-Friday between 8:30 am and 4:00 pm. Please note that all transit times are estimates only and can never be guaranteed. 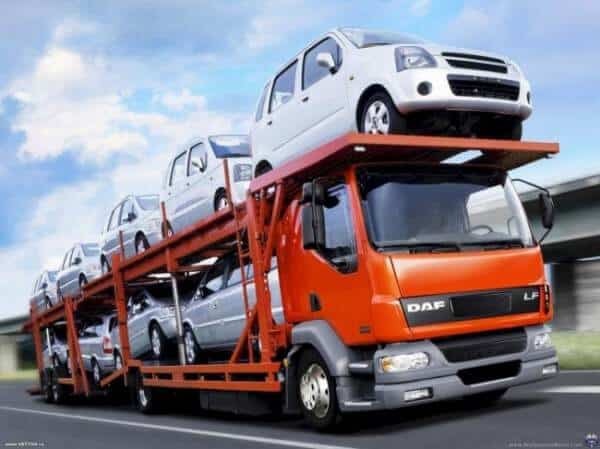 At the time of completing each car booking, we are supplied an estimation of transit, which we use to update our quotes transit time very regularly. This ensures that are transit times are as accurate as possible. There can be at times delays in transit due to High Quantities, peak time periods, floods, rail delays or any other unforeseen situation. Transit times are provided in business days and therefore do not include weekends or public holidays. You must also be aware that the car must be totally empty of any of your personal items. Personal belongings are under no conditions to be left behind in a vehicle being moved to Tasmania. This includes all but not only, bags, boxes, tools and similar items. However baby seats are an exception as long as they are secured in the same way they would be if being used by your child. At both collection and drop off, there must be an individual available to hand over the keys for the vehicle. This individual will also be obligated to do a vehicle check (similar to what you do when hiring a car) and also sign off on the vehicle being taken. If you are not available this job is best delegated your most trusted friend/family. All vehicles heading to Hobart and Tasmania are subject to a quarantine inspection and depending on the condition of the vehicle, there may be additional charges added. If your car is found to be contaminated and does not pass Quarantine Inspection you will incur a minimum Quarantine cleaning fee of approximately $125. Once your car has been washed an Inspector will be then needed to make a 2nd inspection and this may also incur extra costs. These funds are payable to the car carrier not Moving Cars, as the car carrier directly pays Quarantine. If for any reason, after payment has been made you decide that you need to cancel, we reserve the right to charge a cancellation fee of somewhere between $80.00 and $195.00 depending upon circumstances of cancellation, plus any extra charges related to inaccurate information provided at time of booking. Any reimbursements that are needed can take up to 5 business days to process. Any changes to your booking must be provided in writing to us with a minimum of 24hrs warning for a depot drop off and 48hrs notice for a door collection or delivery. Also please ensure that you read, and understand all of our terms of transport, which can be found here.